At K&A, we focus on the success of our clients in their area of the industry they wish to enter. With over 30 years of experience in all aspects the cannabis industry, we give our clients to the tools they need to facilitate a lucrative and successful venture into the marketplace. The founder of Southern Oregon Alternative Medicine, one of the largest medical marijuana clinics serving Oregon for over 16 years, and owner of Grateful Meds, southern Oregon’s premiere Cannabis Dispensary, Brent Kenyon has found himself as a trailblazer in the fight for medical marijuana legalization and an ally for patient access to vital medicine. who endorses an economy of knowledge and wealth to the public interested in becoming a part cannabis community. Brent works closely with several activists and legislators to create reasonable regulations for the industry. He also holds a seat on the OLCC Rules Advisory Committee and has become an asset to the many state officials that reach out for policy advice. 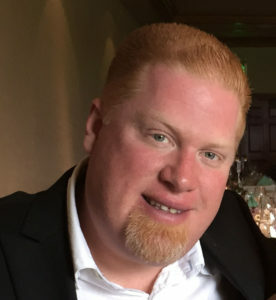 Through his many years work with medical patients and their growers, Brent has profound experience in all aspects of the industry, including best practices for growing, retail, and distribution. An economy of knowledge paralleled with an invaluable experience and a passion for the people, K&A is a representation of Brent’s dedication to steering the cannabis community on the path to success. As the industry experiences continual policy change and increased amounts of market growth nationwide each year, K & A will remain an industry leader that provides to the seekers and entrepreneurs of the cannabis industry. Kenyon & Associates offer a variety of services to support our clients taking on the cannabis industry from start seed to sale. Our real estate team is on top of the market and our legal team ensures the best medical and recreational license services. K & A is also an active company in fighting for beneficial legislation and representation in the lobbying and political process surrounding the cannabis industry. All of the steps in the growing process from growing logistics, to testing, processing, distribution and retail are covered in our company to support a substantial turn around for the investment of your time and money. K & A further offers packaging and marketing services that ensure your product has momentum from the moment it hits the market.